The industry faces big challenges from the upstream supply chain, regular warehousing and logistics whether it is the traditional channel or an E-commerce. Node control in the flow field is difficult, easy to suffer loss; product output quality is unstable and CSR is unreliable. 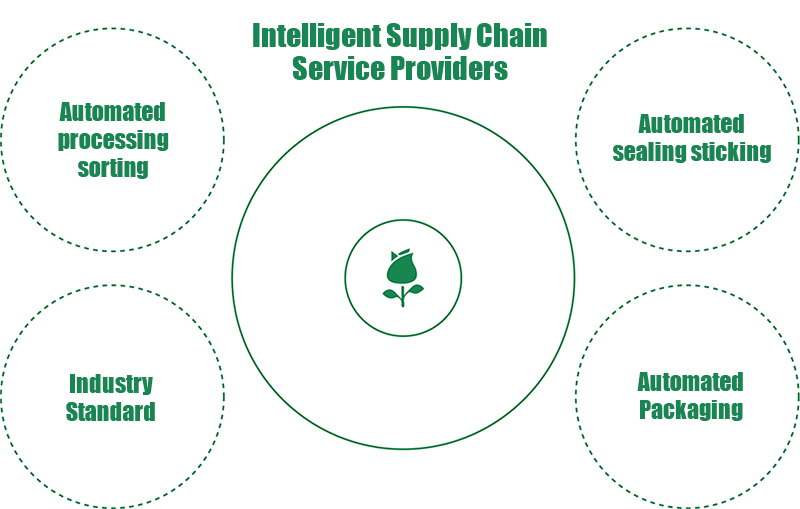 JIUYE Supply Chain has a strong cold chain supply system with development of regulatory and viable warehousing logistics solutions. Approaches of segmented management, all-the-way monitoring and flow process visualization facilitate the energy of marketing with the use of a strong cold chain storage and distribution system. The field of subdivision realizes gradually through the exploration of new wholesale and retail patterns. The flowers from origin area can be transported by cold chain land or air transportation to the RDC, waiting for the next step. JIUYE branch warehouses can dock JIUYE home delivery, JIUYE fresh delivery B2B transportation, on behalf of other couriers and other distribution businesses to provide the necessary services for channels of all kinds like B2C, B2B and corporate customization.